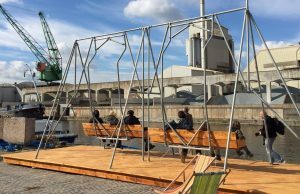 The enormous porch swings Pink Steenvoorden designed for Oh The Sea, are selected for the Dutch Design Week in Eindhoven (October 22-30). 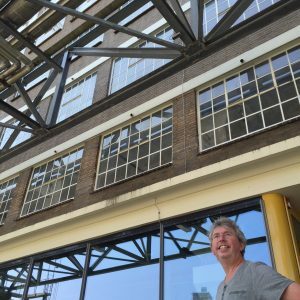 His 12-persons ZlowMotion will be erected outside at the Ketelhuisplein / Strijp-S. At the I’m Binck Festival in The Hague, the interest from someone wanting the ZlowMotion for his back garden came from…. Spain. More info here: EinsteinDesign.